At this moment, Fred is running for his life. Can you help him escape from the chase of the Death? If so, your time in Running Fred has already started. Tap PLAY and begin the hard-to-breath adventure, guys. Running Fred was created by Dedalord, an independent videogame development studio in Argentina. Not only Running Fred, this game developer has made other cool games with Fred as the protagonist, such as Football Fred, Skiing Fred, etc. The running game was initially posted publicly in October 2014. Powered by Unity, this game also runs smoothly on web browsers. Literally, Fred is running away from death. This young boy gets lost in a place full of obstacles and traps – if he wants to avoid them, the only way is to run. Note that some objects can kill him with a hit while some may knock him off the track. Most importantly, the Death is chasing behind. Guide him to move and jump swiftly from left to right or from right to left without causing any mistake. BEWARE: No route is completely safe! Running Fred is definitely a great running game. The Flash technology is used to build this game; that’s why it can work in modern browsers. 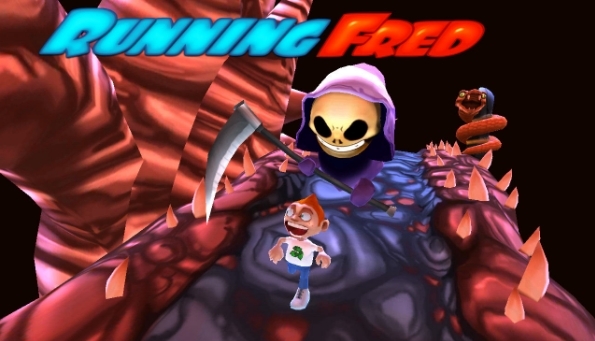 Now you are able to enjoy Running Fred as a flash game or download it as an app for your mobile or tablet. Did you like playing this game? Then also give Angry Gran Run, another cool running game, a try. Still more awesome games to explore on Coolmath4KidsGame, such as Jet Ski Racer, Free Running 2, and 3D Space Racer. Have fun here!